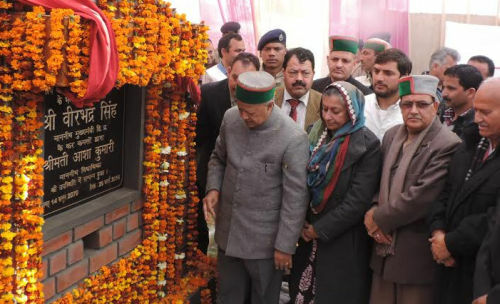 Chamba: In a public meeting at Salooni in Chamba district, Chief Minister Virbhadra Singh said that despite financial constraints, his Government was committed to keep the pace of development by providing sufficient financial resources for all-round development of the State and fulfilling all the promises made to the people of the State. Singh said that previous BJP Government left behind the deficit of more than 10,000 crore and the case of the State was not well pleaded with the Finance Commission. The 13th Finance Commission grossly underestimated the committed liabilities of the State and the lowest increase of 50 percent was recommended for the State. Earlier, he laid foundation stone of PHC Brangal to be constructed at a cost of Rs. 78 lakh and PHC Sundla to be constructed at a cost of Rs.79 lakh. He also laid the foundation stone of GSSS building, Salooni which would be constructed by spending Rs. 2.94 crore. 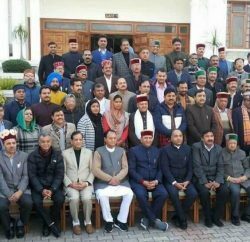 Virbhadra Singh said that his Government had taken care of all sections of the society in its budget passed for the next financial year. The Government had made sufficient budgetary provisions for all welfare sectors and the common man had been the focus of all policies and programmes. He said that the matter regarding enhancement of remuneration being given to the special police officers deployed in Salooni area would be taken up vigorously with the Govt of India. He said that the State Government would provide Rs. 1000 to each officer per month till the matter was not cleared from the Centre. The Chief Minister said that Punjabi and Urdu would be introduced in the 100 schools of the State for which regular teachers would be appointed. He also announced to upgrade GHS Mangali, Ligga, Bhunad and Lahara to Government Senior Secondary School and Granger,Garohan, Bajwad middle schools to Government High Schools. He announced to upgrade Paja High School to Government Senior Secondary School and Dekhari Middle School to High School. He also announced to open Government Primary Schools at Lodli and Sagwadi. The Chief Minister said that Urdu classes would be started in GSSS Bhandal, Kyar, Diur, Manghli, Dand and Telka and Sangni High School. He said that Yatri Niwas would be constructed at Bhalai Mata Temple complex and veterinary dispensary would also be upgraded. Virbhadra Singh honoured Ashwani Kumar of Bhandal who scaled the Mount Everest. 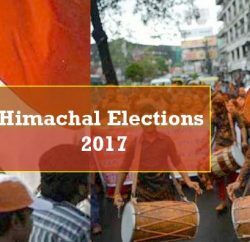 Speaking on the occasion, Asha Kumari, MLA thanked the Chief Minister for giving added priority for the development of Chamba district. She said that most of the offices in the district were opened up due to the efforts of Congress Governments while BJP Government shifted many offices out of Dalhousie constituency. She urged the Chief Minister to take up the matter with the Government of India for upgradation of Brangal-Sundla-Langera road. 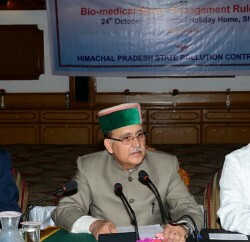 Forest Minister Thakur Singh Bharmouri, Chander Kumar, former MP, Kuldeep Singh Pathania, Chairman, State Pollution Control Board, Kewal Singh Pathania, Vice Chairman, State Forest Development Corporation, Neeraj Nayyar, Chairman, APMC, Chamba and other prominent person of the area were present on the occasion.